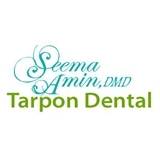 Tarpon Dental (Tarpon Springs) - Book Appointment Online! Do you want a healthy and beautiful smile that will let you shine from the rest? If so, you’ve chosen the right place. At Tarpon Dental, we help create smiles that will last for a lifetime. Putting you and your family’s needs above all else, we strive to deliver the highest quality of dental care the moment you enter our office. We take pride in being a premier provider of Cosmetic,General and Implant Dentistry in Tarpon Springs and surrounding areas. We help patients achieve the smile they want and keep their overall oral health in optimal condition. We go the extra mile when it comes to patient care. We make it a point to keep you updated about the latest innovations in the field. Our Tarpon Springs dentist also makes efforts in educating you about your treatment options and other dental health concerns, helping you make well-informed decisions during appointments. See you soon! !